Friendly staff, close to Tesco & Mydin hypermarkets. Price is reasonable. Recommended. value for money, good location, ample free parking, friendly staff, would definitely book again. this hottle never provide u toothbrush or toothpaste.. and all the shopping place are quite far from here.. i spend alot for grab.. the restaurant at ground floor.. not impressive menu there.. The room was very neat and comfortable to stay. The location really helps because easy to access the highway and other important roads. Will come again next time. it's a new business center, but none convenient store available at the row of the hotel... only nearby hypermart, need to travel. overall stay is good, just in the middle of the night, you can hear street racer 'mat rempit' and busy roads sound... one of my friend was caught in the middle of showering when the water ran off out of sudden. The hotel is fairly new. Room is clean and tidy. There are food eateries nearby. 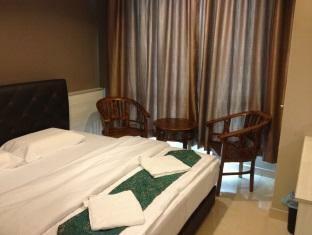 The hotel is close to the North-South highway and get out to other cities or major towns is easy and quick. The staff is friendly and helpful. Getting to Seremban Town centre or Senawang is easy and no problem at all. 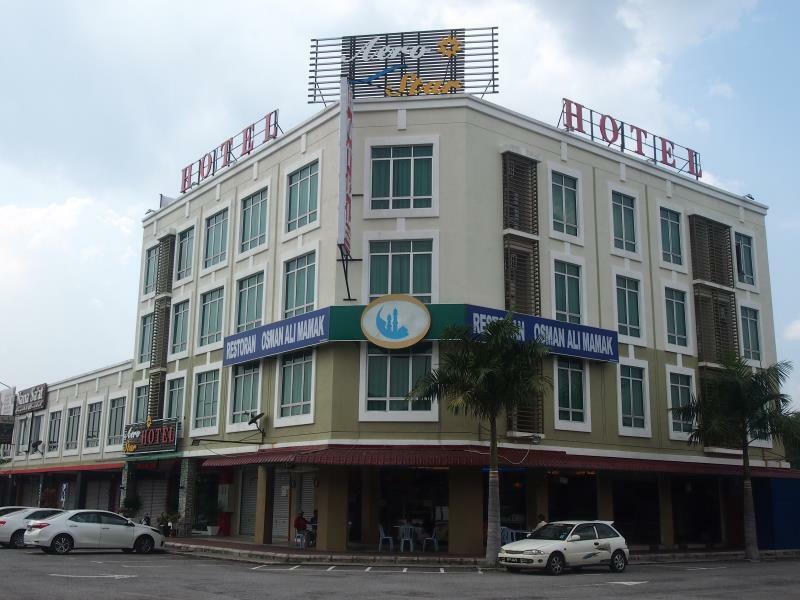 Hotel located at an intersection close to Senawang exit of PLUS highway. Traffic is quite busy even late into the night, avoid if you're a light sleeper. Hotel is pretty basic, but clean. Elevator available. Room is good value for money. 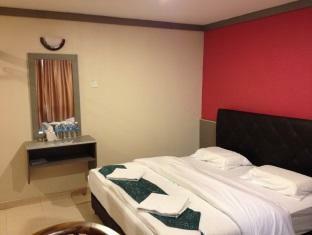 Paid RM 65 for a deluxe king bed room on 1 night weekend stay. There's a restaurant next door, opens from 6am to 11pm. the condition of the room was bad with the window latches broken - not able to lock the windows at night!! Public utilities not aviable nearby, 24 hours shop, self laundry etc. Outside aircond compressor to noisy and disturbing. Can't sleep well. If you're not picky it's quite a deal. The bathroom had black mould on the ceiling and water didn't drain out properly, otherwise it was clean enough. The closest place to eat is 15 minutes walk away, so be prepared to drive to find stuff.